Have you ever wondered how lame it is to jump into someone else’s business when you don’t belong to that specialty? How ridiculous it is to go to a doctor and tell them what to prescribe you, how insane it is to tell a teacher what strategies he has to take up for better teaching? How pointless it is to tell the chef what spices he has to add up in the dishes to make them delicious? How actually amusing it is to hold a DSLR and act like a professional photographer? All these questions must already be haunting you for ages; perhaps you are the same victim as I am because I have been through this terrible trauma when people actually act like what they are not. It is the dilemma of the time that people love to poke their nose in others’ businesses because that’s the only job they are good at. Perhaps it makes their heart pump the blood faster, God knows. It is way too weird to even think of the reasons applicable to this tragic irony. The situation is rightly going with graphic designers these days that are being seen down upon as if this field is too easy to go for. They are considered easygoing and naïve chaps that anyone can order them. Let me tell you what graphic design actually is? It isn’t a child’s play where you can go about without any twists and turns, it is not a short way or a backup plan, you have to sweat your energies, you have to deal with empty minded clients where you may get burdened by heaps of never ending tasks to deliver. How poking it is when someone else tells you “how to do your job”? Every other person is keeping this tag “I am a graphic designer”, when they have least idea what is creativity, what is innovation, what is redoing the design element and what is taking the negative feedback positively. Sorry is the fact that such sick minded people have no good in their heads rather they are there to only knock anybody down. 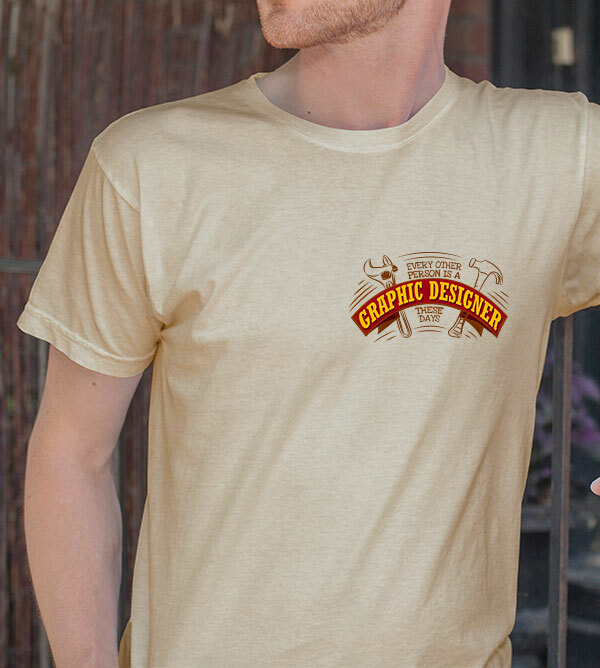 Today I am presenting before you free Vector T-shirt design for graphic designers. 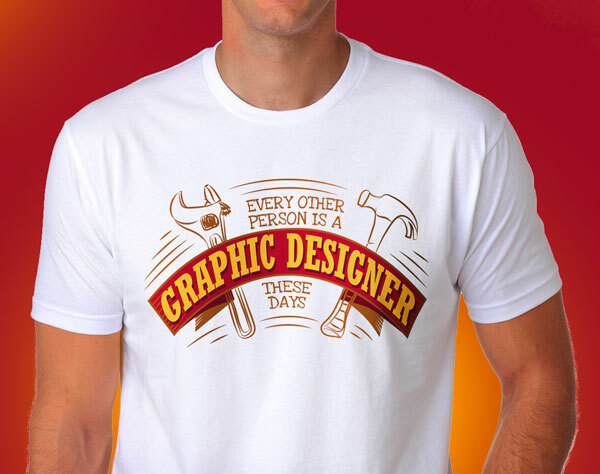 If you are a graphic designer you must wear this t-shirt to present the irony of this time. 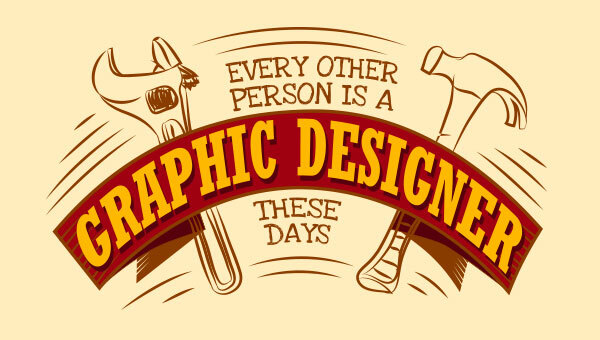 There is no offence to the graphic designers who are reverential and reckoned to be the creative minds but a great offence lies to all those weird clients who act like they have every single knowledge of graphic design.